This classy stainless steel ring identifies you as one of the elite, so wear it proudly. The Agents of S.H.I.E.L.D. 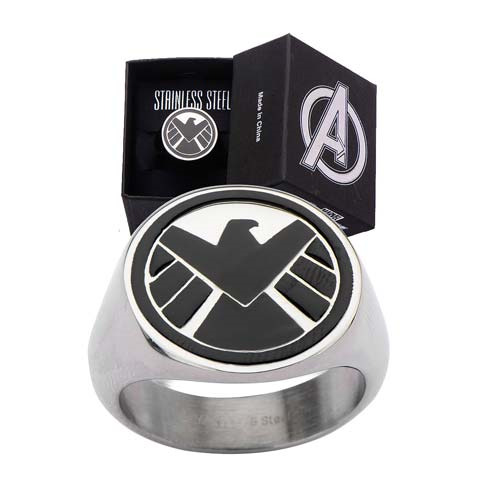 Logo Ring boasts the S.H.I.E.L.D. emblem and is available in sizes 9, 10, 11, and 12. Ages 14 and up. Ages 14 and up.